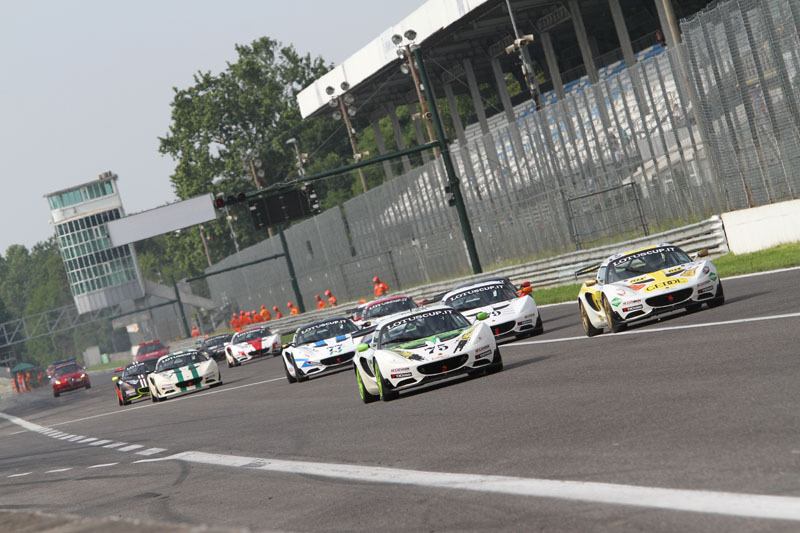 Hexathron Racing Systems was founded in Milan (April 2009) by its CEO Marco Calovolo to make available, to companies operating in the racing field, a heritage of technical experience gained over the last thirty years working both in the automotive and the top motor racing industry at a national, European and world-wide level; in 2014 Hexathron Racing Systems has got the ISO 9001:2008 certification for quality management system, renewed in 2017 with the ISO 9001:2015 certification. 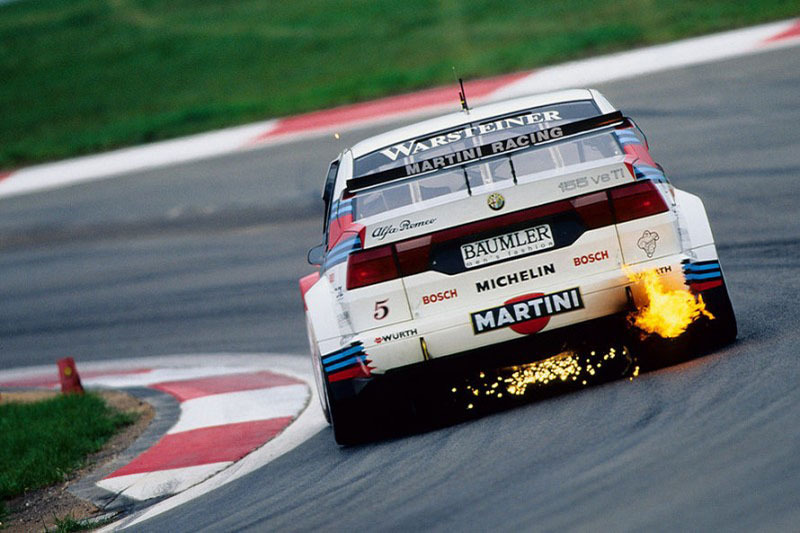 The path began in 1979 within the Technical Management of the Vehicle Testing for the Lancia brand, with the methodical improvement of cars having a great commercial success, such as Thema, Prisma and Delta. 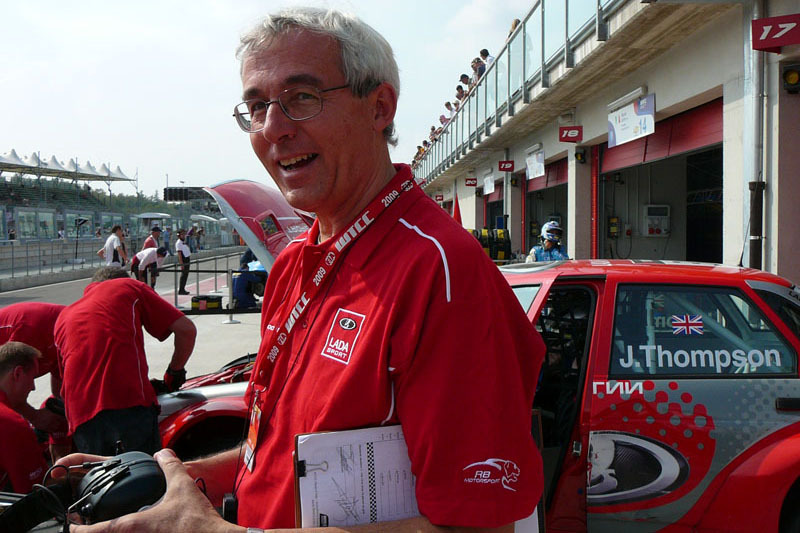 After an interlude of two years, beginning from 1986, as manager of New and Special Projects at the Brazilian FIAT Automoveis plant in Belo Horizonte, thanks to the work previously done on the development of the Lancia 4WD versions (Delta and Prisma), Marco Calovolo won the call in FIAT Abarth in 1987. 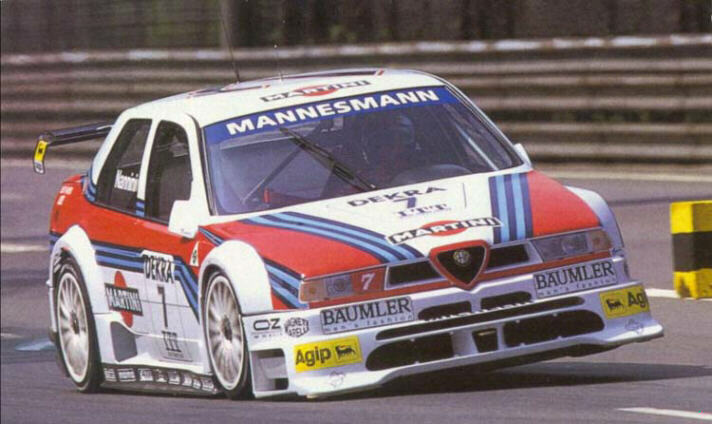 The age of Group B suffered an abrupt interruption because of the infamous events of the Tour de Corse, so Lancia needed to develop quickly the new Delta 4WD as “weapon” under the new regulations of N and A Groups. 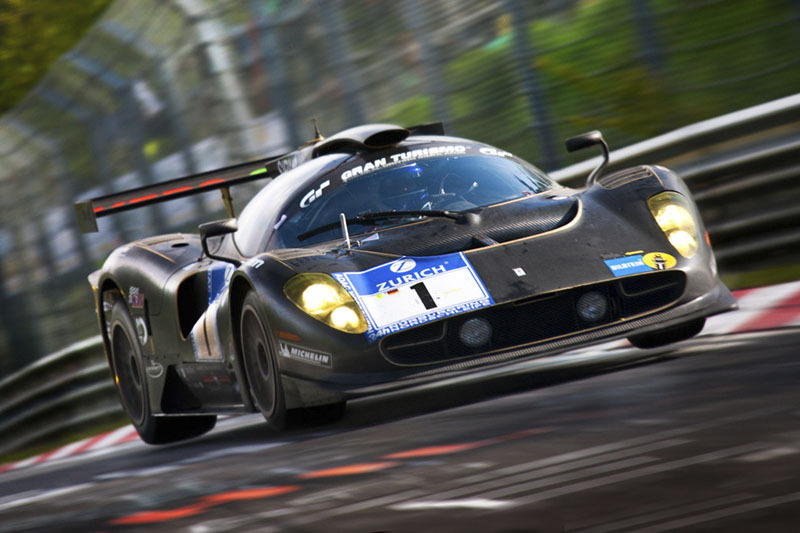 In this perspective Calovolo was appointed Manager of Transmission Innovative Projects, working with a CVT bibelt gearbox for Delta S4 (Van Doorn), electro-rheological fluids applied to the transmission (Centro Ricerche FIAT), an electronically controlled multi-plate clutch for the differential gears (Z.F.) 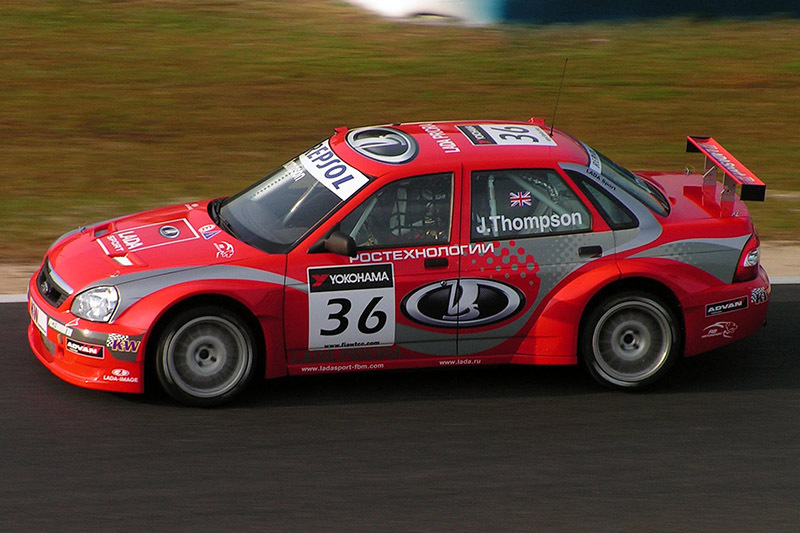 and an electric clutch control (Valeo): experimental leading solutions that, together other activities done for the four evolutions of the official Delta, made a significant contribution, from 1987 to 1991, to win the Drivers and Manufacturers titles in the World Rally Championship, in addition to countless successes achieved by this legendary car, entrusted to “Junior” Teams in national and continental rally championships. 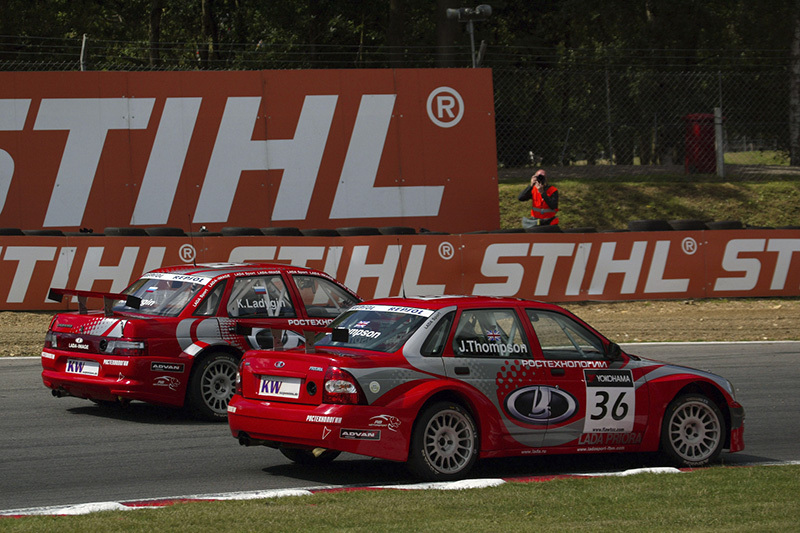 In 1992 FIAT Group changed its racing strategy. 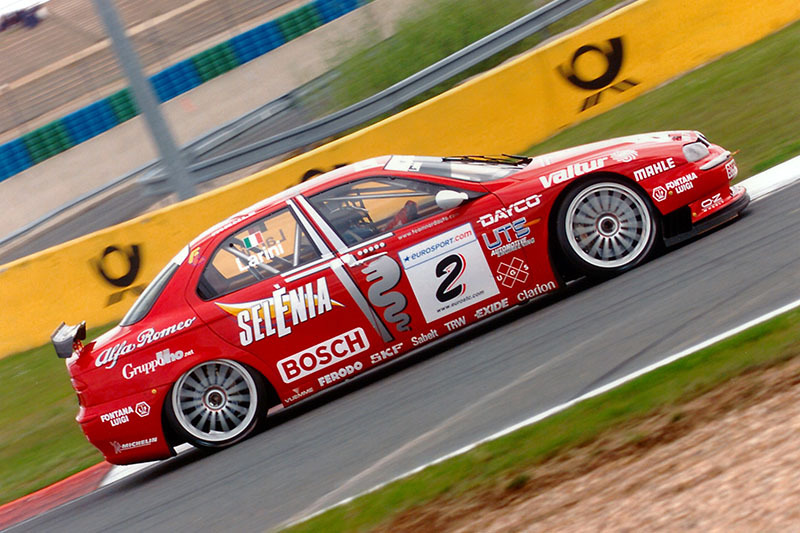 After having won everything in Rallies with the Lancia brand, the Manufacturer decided to pour all the best technical and human resources in Alfa Corse, with the specific intention to promote the Alfa Romeo brand, by the model 155, through a high-level and competitive racing activity to be held in the Supertouring category. 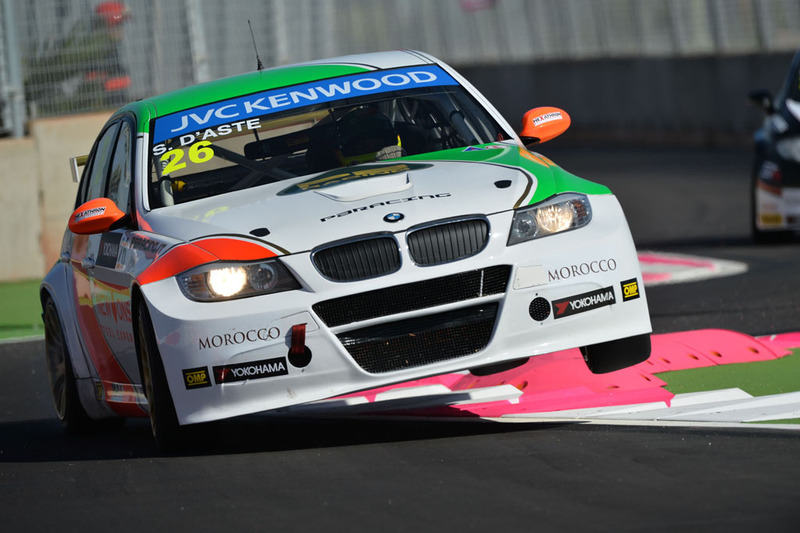 Calovolo became manager of the 155 GTA as Race Engineer of the former F1 driver Alessandro Nannini: the win at the end of the season in both Championships (Drivers and Manufacturers standing) with Nicola Larini cannot go unnoticed. 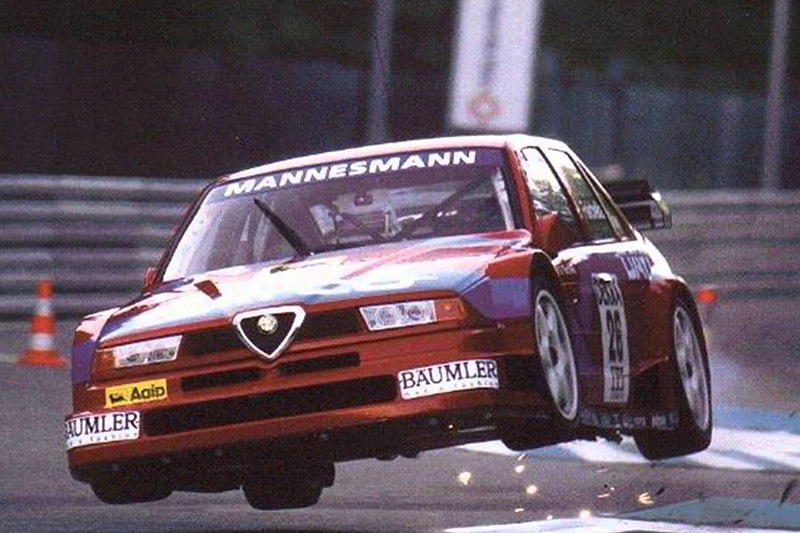 The 1993 is the year of the great challenge between Alfa Romeo and Mercedes in the DTM, where technologies are exasperated like Formula 1 level, like the struggle on the most demanding circuits in Germany. 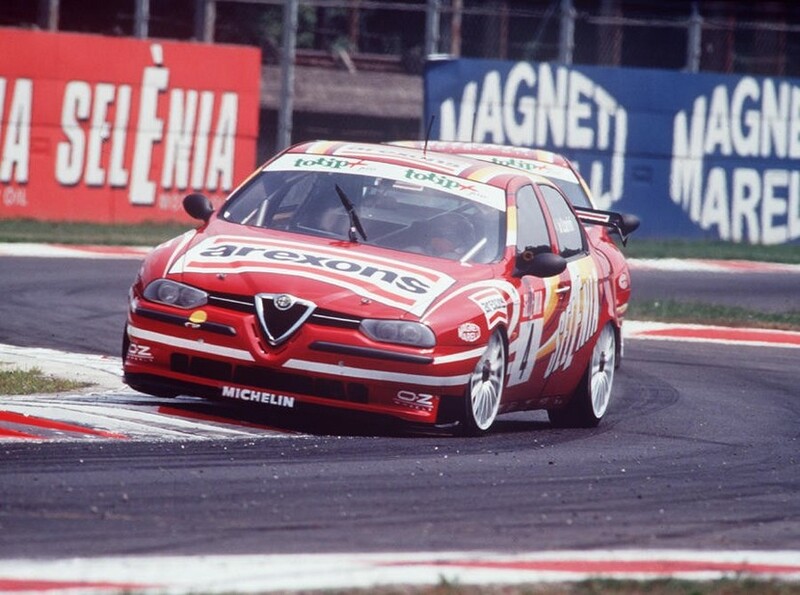 Once again Marco Calovolo holds the role of Track Engineer for the Alfa Romeo 155 V6 TI driven by Alessandro Nannini. 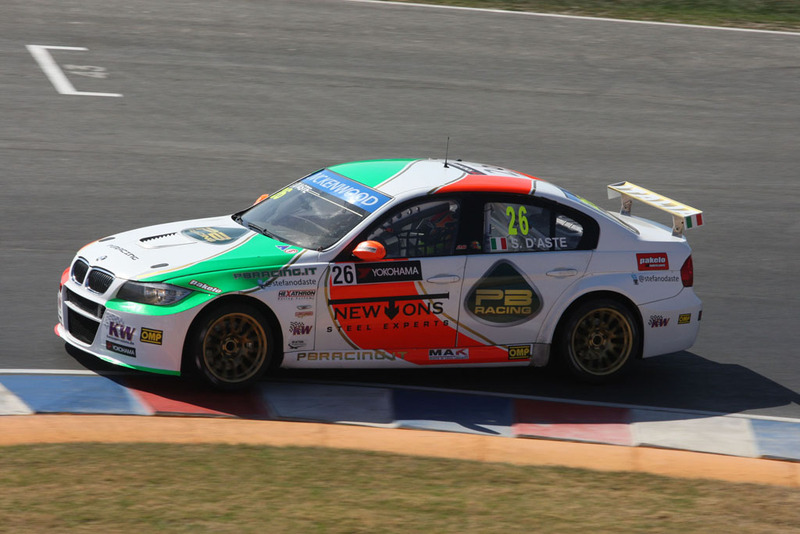 At its first participation Alfa Corse gets a full and huge success in Manufacturers and Drivers Championships, again with Nicola Larini. 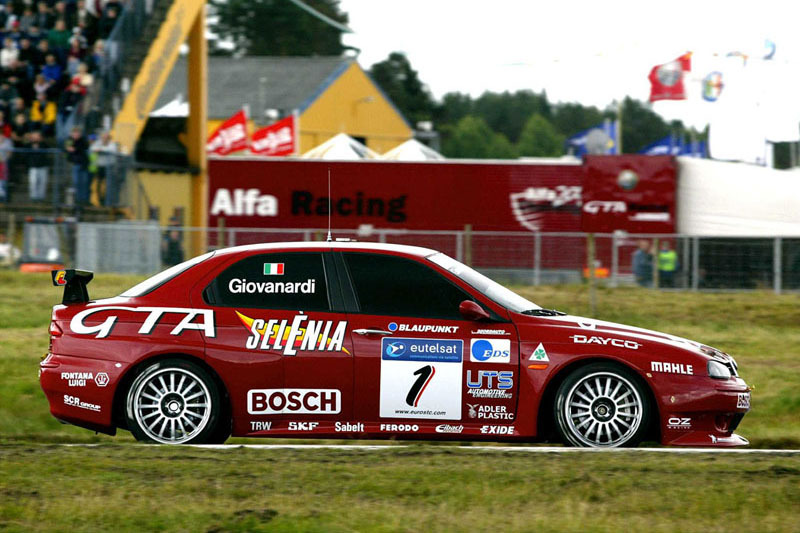 This experience continues in 1994, once again with Alessandro Nannini. 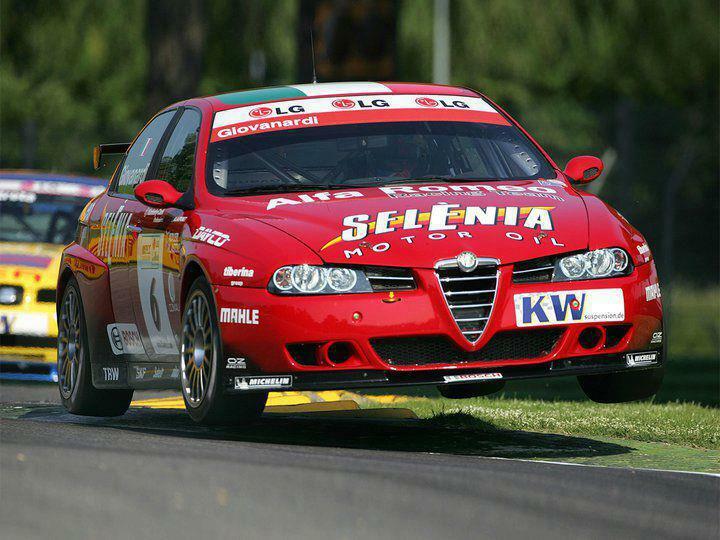 In 1995 Marco Calovolo are entrusted with the Technical Direction of the Alfa Corse Junior Team, Alfa Corse 2. 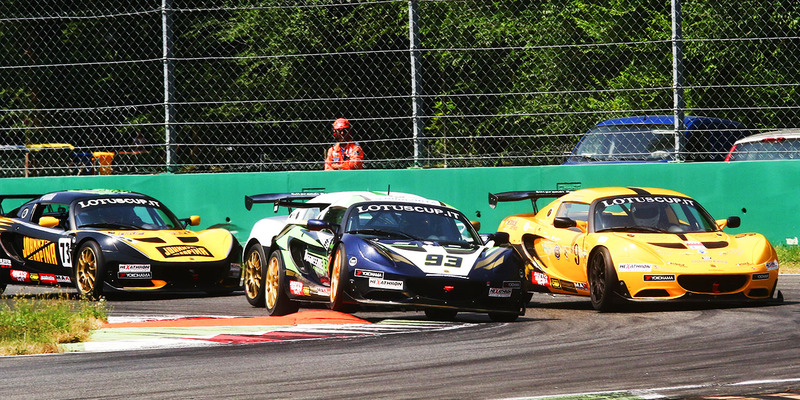 It’s the time of Giancarlo Fisichella with his unforgettable 2nd place in Mugello. 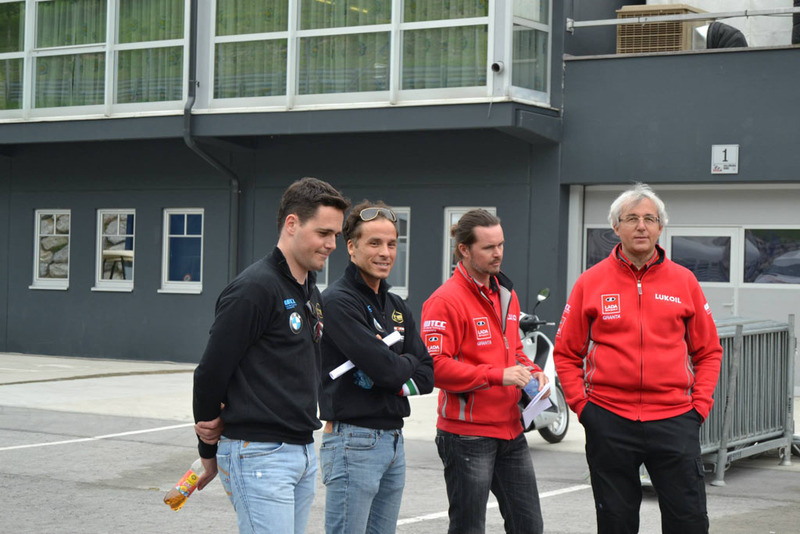 In 1996 the TV Spielfilm Official Team is established. 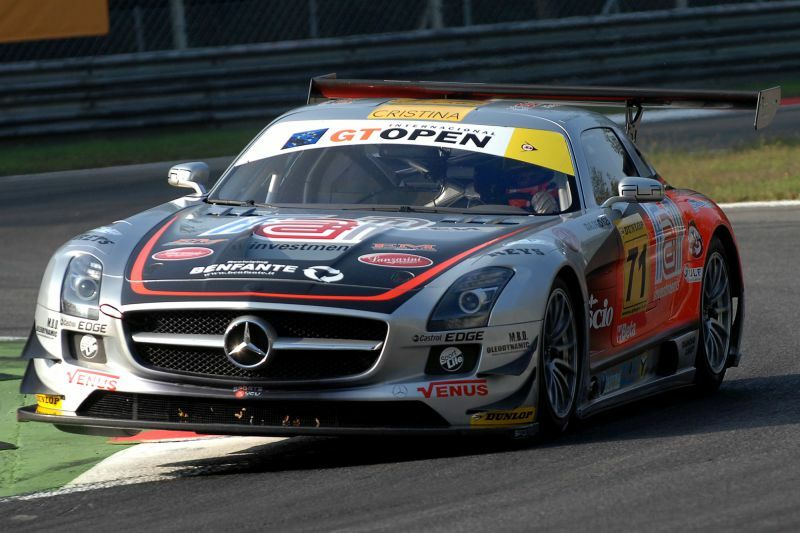 Its drivers are Fisichella (whose Race Engineer is still Calovolo) and Christian Danner. 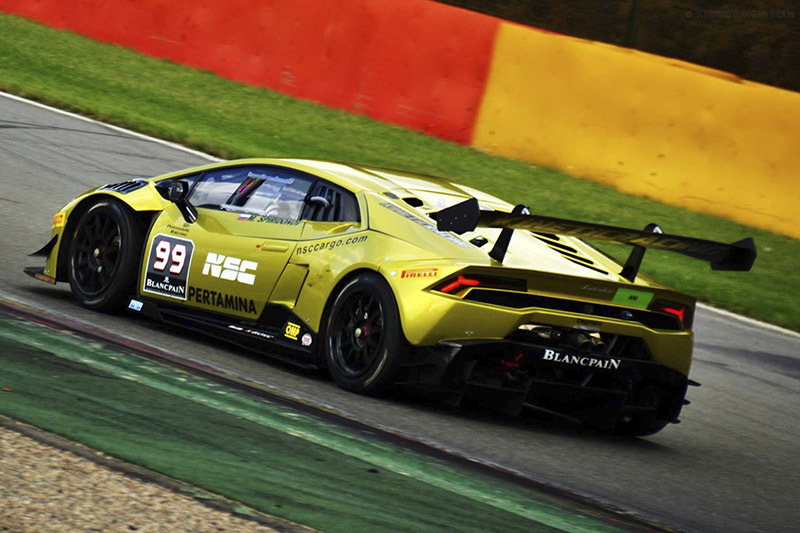 From 1993 to 1996, year in which the series takes the name of ITC and undergoes a significant evolution of the regulations, Calovolo and Danner are entrusted with the Michelin’s tires development programme. 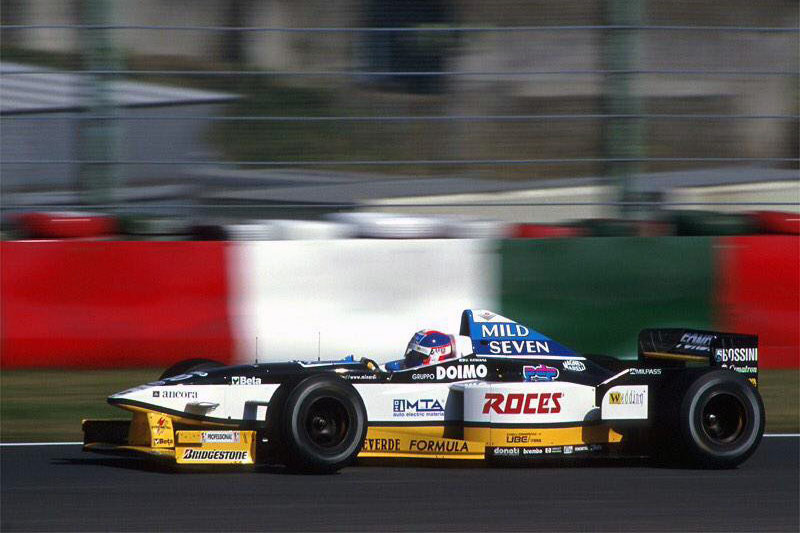 In 1997 the technical and managerial qualities of Marco Calovolo are acknowledged: the Formula 1 Minardi Team calls him to hold the role of Race Engineer for the F1 Minardi M197 powered by Hart and driven by Ukyo Katayama with brilliant performances during all the season, racing in 17 Grand Prix. 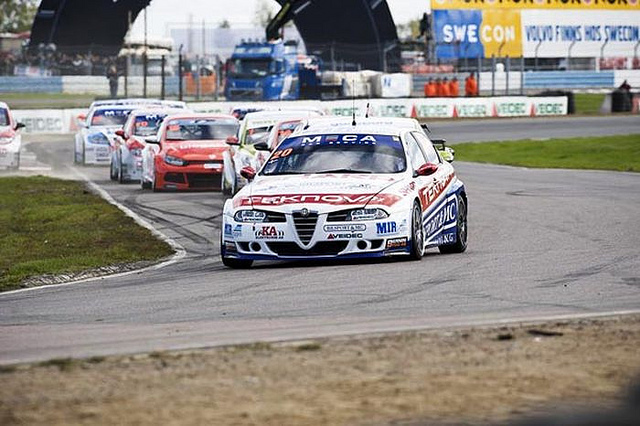 In 1998, after the stop of the sporting programs in 1996, Nordauto Engineering is entrusted by Alfa Romeo to take care its sporting management with the task to lead the new Alfa Romeo 156 GTA to win. 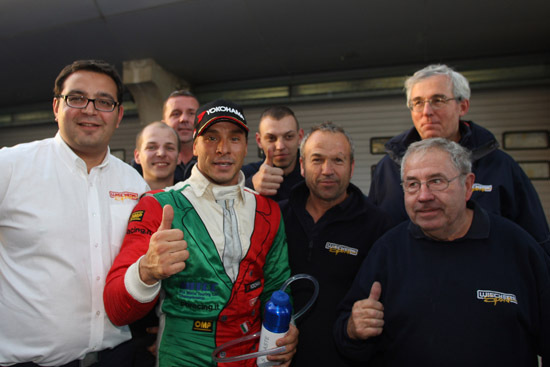 Therefore for two consecutive seasons, Marco Calovolo plays a leading role in many wins as Race Engineer of Fabrizio Giovanardi within the Drivers, Manufacturers and Teams results of the Italian Supertouring Championship. 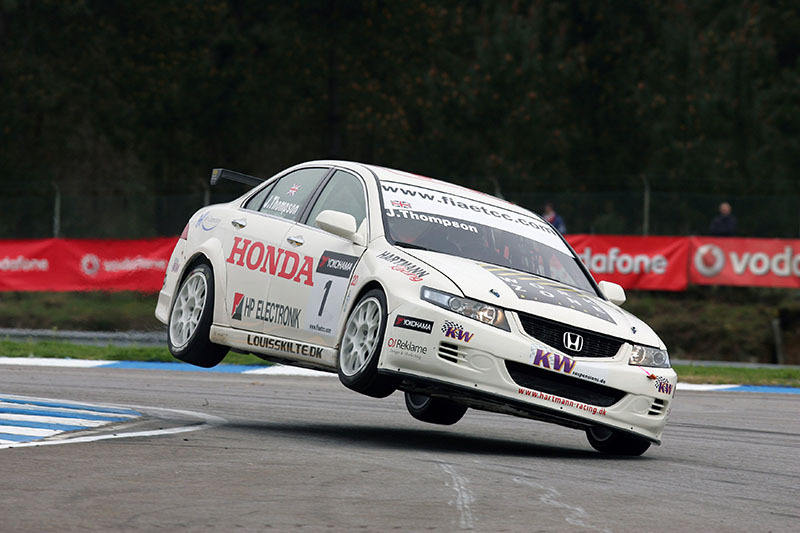 In 2000 Calovolo was appointed as Technical Vice-Director of Nordauto where, even with Fabrizio Giovanardi, the series of successes in the ETCC and FIA Supertouring European Championship (2001) continues. 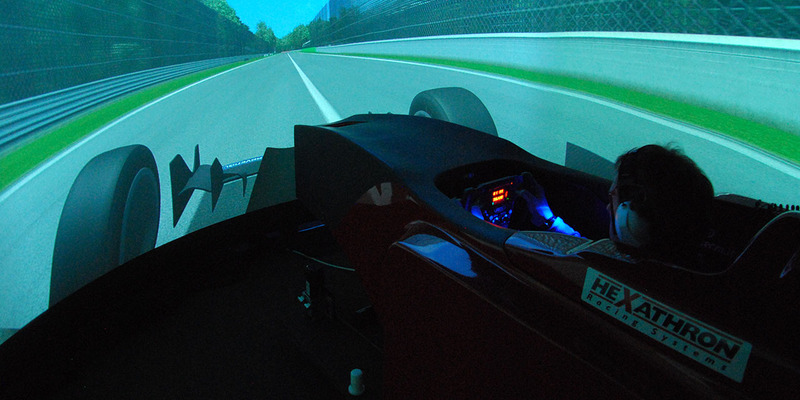 In 2002 NTechnology is established. 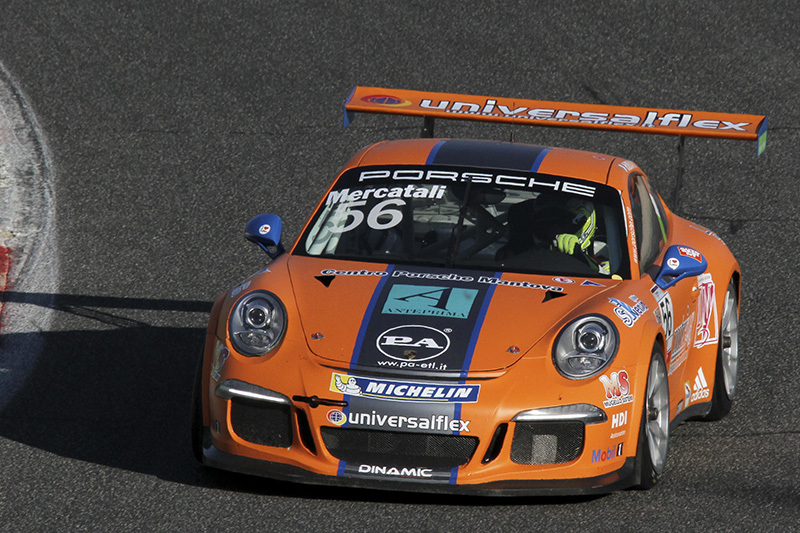 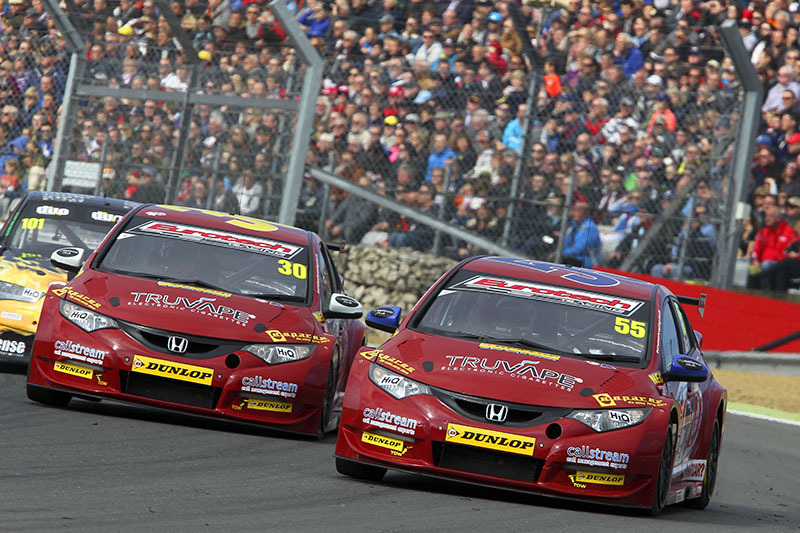 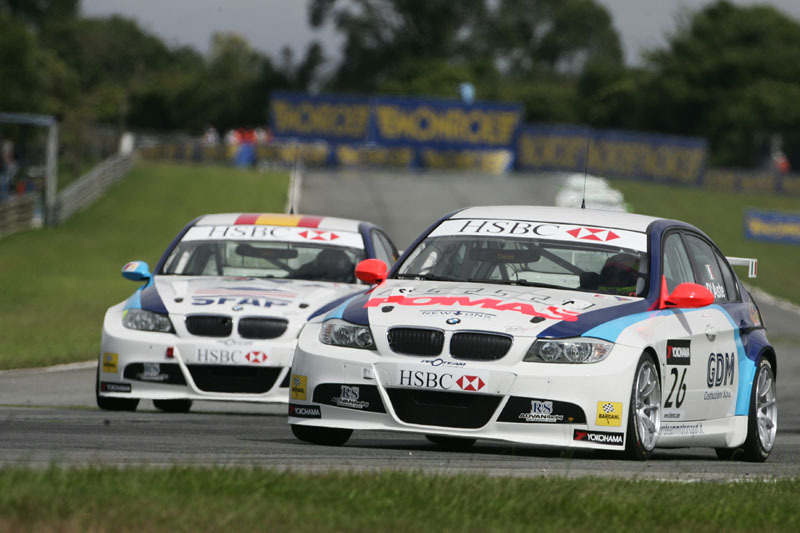 This season marks a change into the regulations of the Touring car category with the new Super 2000 technical protocol. 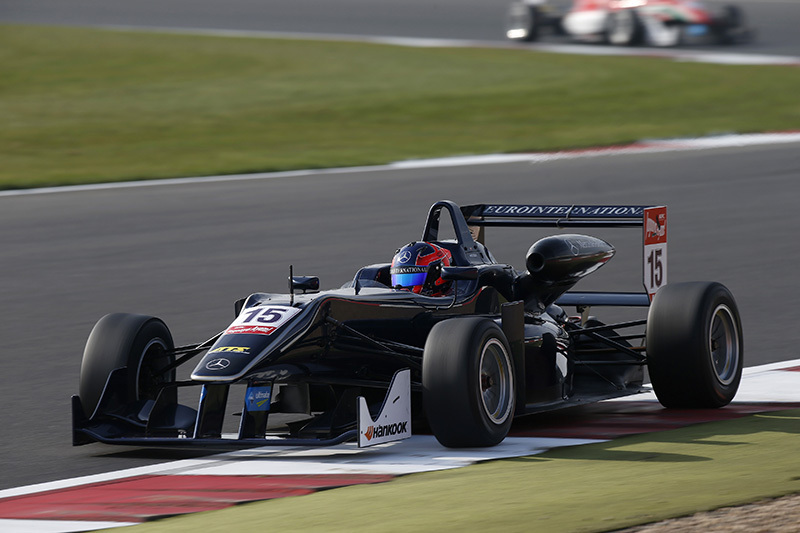 The results do not change considering the win of the Super 2000 European Championship (Drivers, Manufacturers and Teams), with Giovanardi as protagonist, always leaded by Calovolo as Race Engineer. 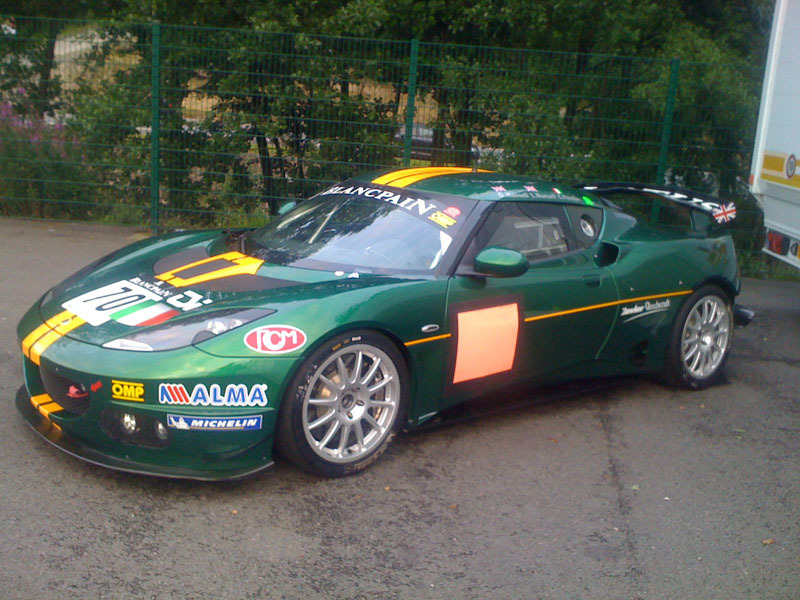 The year after Calovolo is Race Engineer of Nicola Larini and in 2004 he is again with Giovanardi. 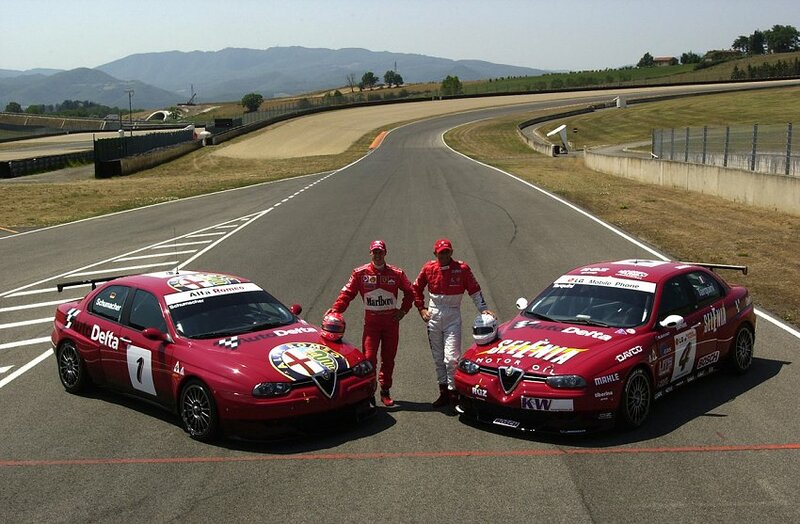 In 2003 Alfa Romeo meets with a huge success and in 2004 it wins the 3rd place in the Drivers Championship with Gabriele Tarquini. 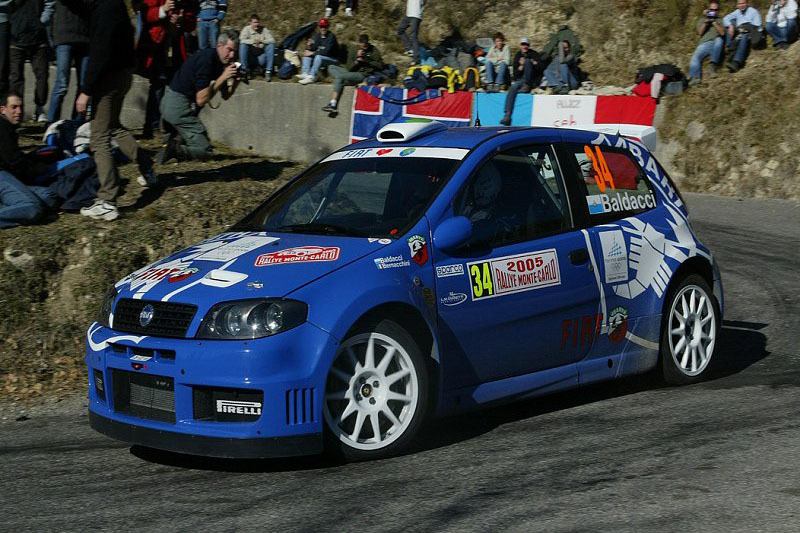 In 2005, thanks to his racing successes and experiences, Marco Calovolo is appointed as Technical Director of NTechnology Rally Department: the FIAT Punto Super 1600 cars of Baldacci/Bernacchini in the Junior World Rally Championship and Basso/Dotta’s car in the European Rally Championship, get three wins at the Tour de Corse, in Bulgaria and Greece, in addition to the 5th place overall in the JWRC and the 2nd in the ERC. 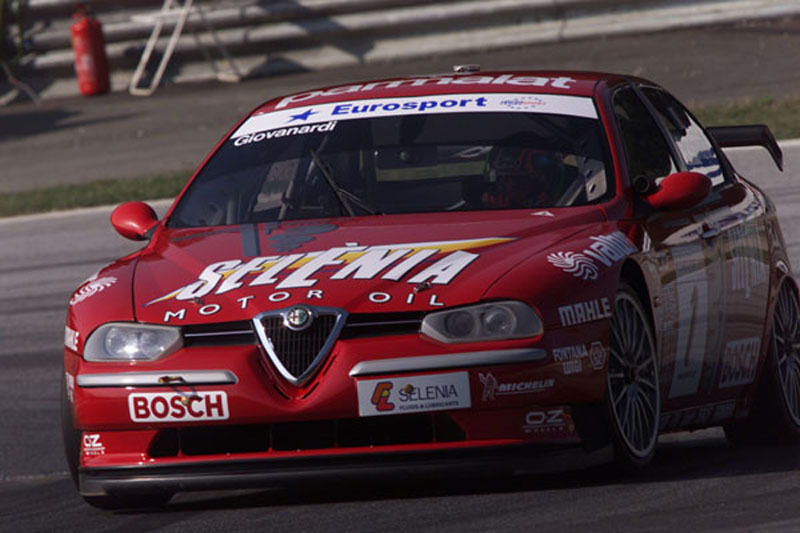 In 2006 Marco Calovolo becomes Managing Director of NTechnology, maintaining the position of Technical Director too, with Augusto Farfus, Gianni Morbidelli, Salvatore Tavano and James Thompson as drivers in the last two competitive seasons in which the Alfa Romeo 156 Super 2000 is engaged in the S2000 World Championship (WTCC). 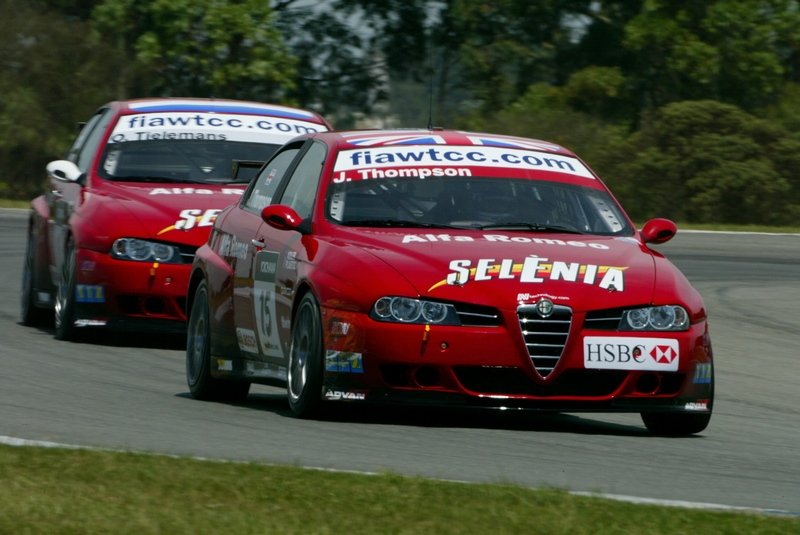 Although the car is already outdated (the original design goes back ten years earlier) and the Manufacturer doesn’t seem to be interested in making any possible further evolution to develop it, the Alfa Romeo 156 is involved in winning the world title fight till the last race in Macau, achieving the 3rd place overall, with over 25 cars at the start, in both 2006 and 2007 seasons (with Augusto Farfus and James Thompson). 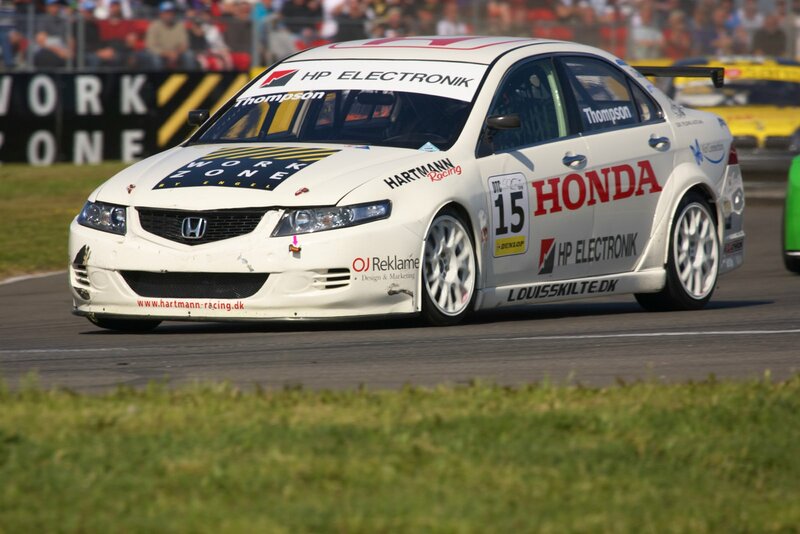 In 2008 NTechnology decides to continue semi-officially in the WTCC with the Honda Accord Euro-R. 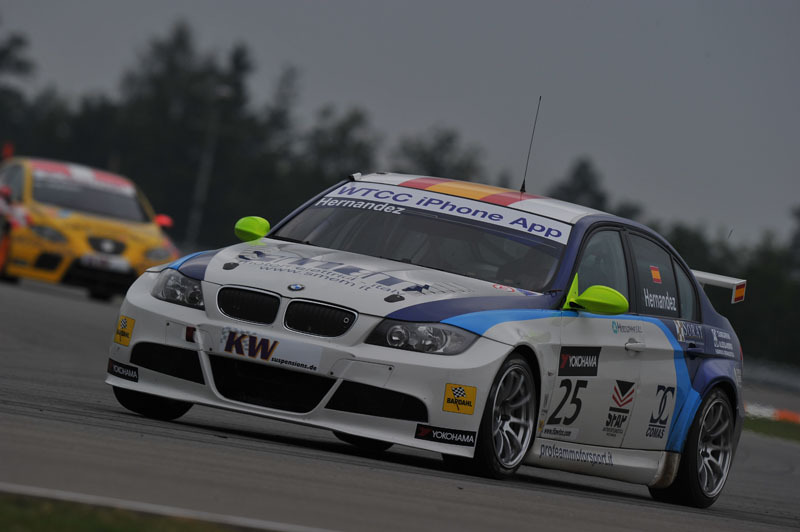 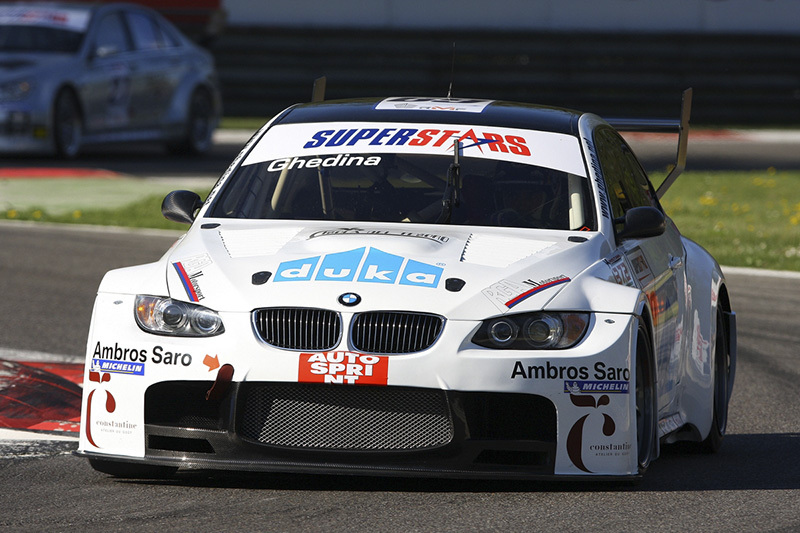 The car is waiting to be discovered but the team’s efforts improve it race after race until the win in Imola, obtained thanks both to a particularly effective set-up and an extraordinary competitive performance of James Thompson, who in the same season won two other races in the hard- fought Danish Touringcar Championship, under the Technical Direction of Marco Calovolo. 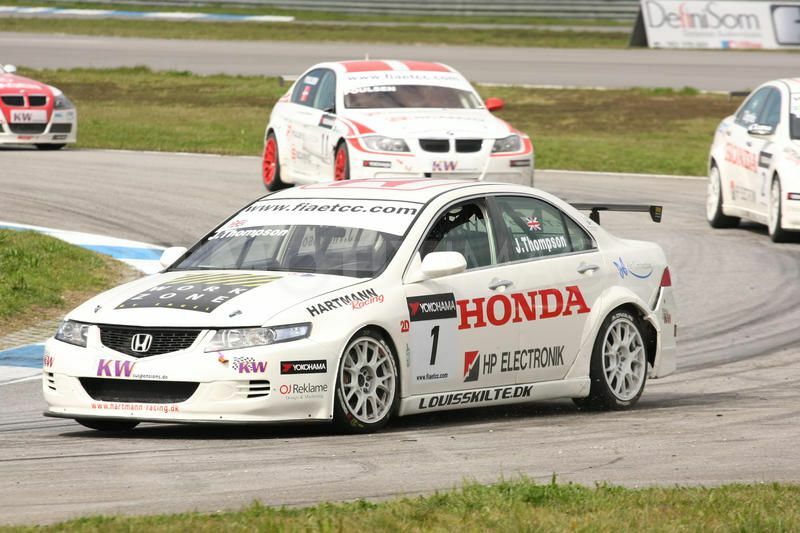 The end of 2008 marks the exit of the Honda from all the international sporting programs, starting from Formula 1, forcing NTechnology to stop any competitive activity. 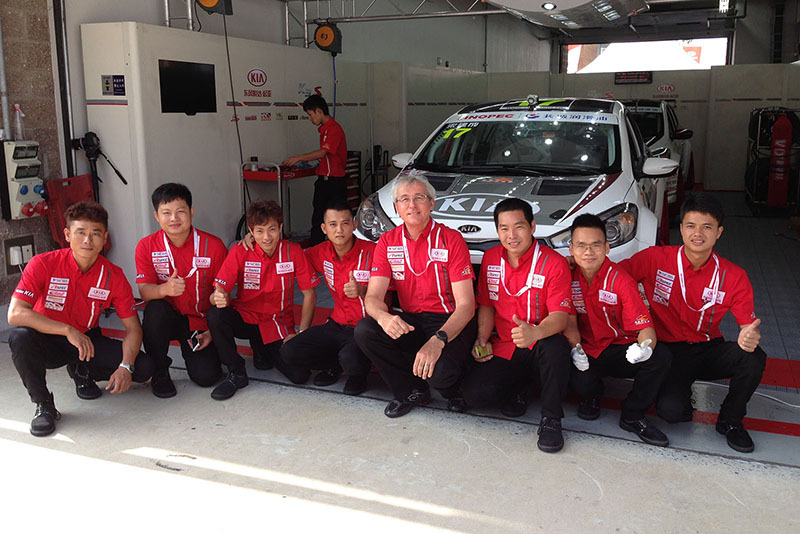 Such a wealth of human resources, mechanics and engineers, and their experience, gained over many years of activity as Top Team couldn’t be dispersed. 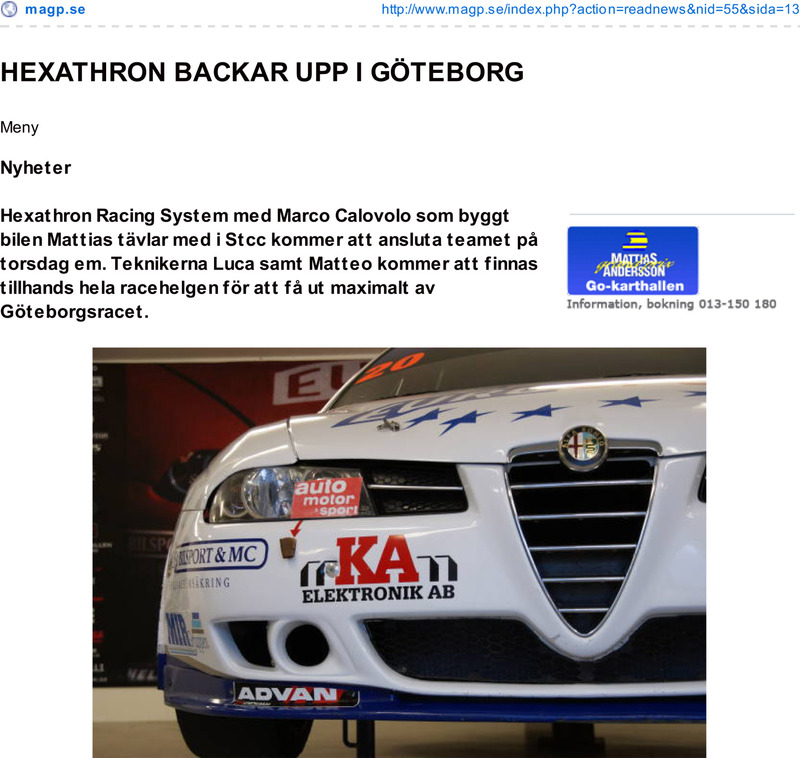 For this reason the idea of the Hexathron Racing Systems is born. 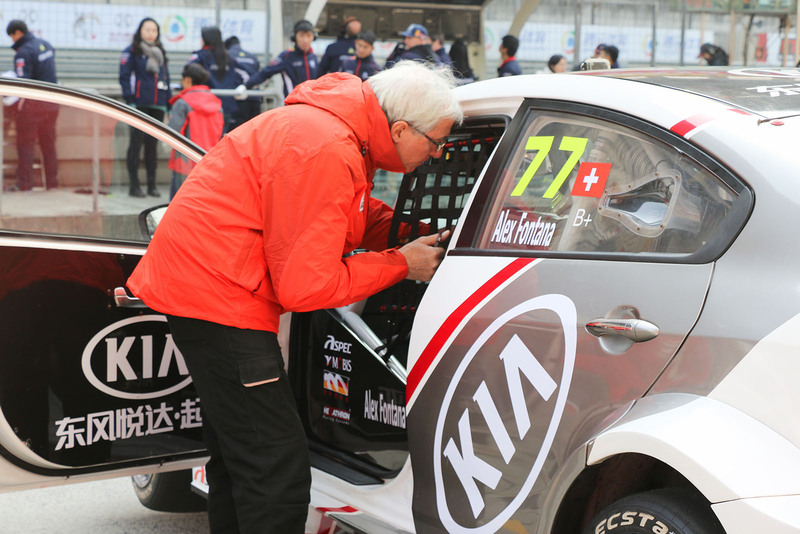 The result is the synthesis of three key elements: talent, grounding and working method. 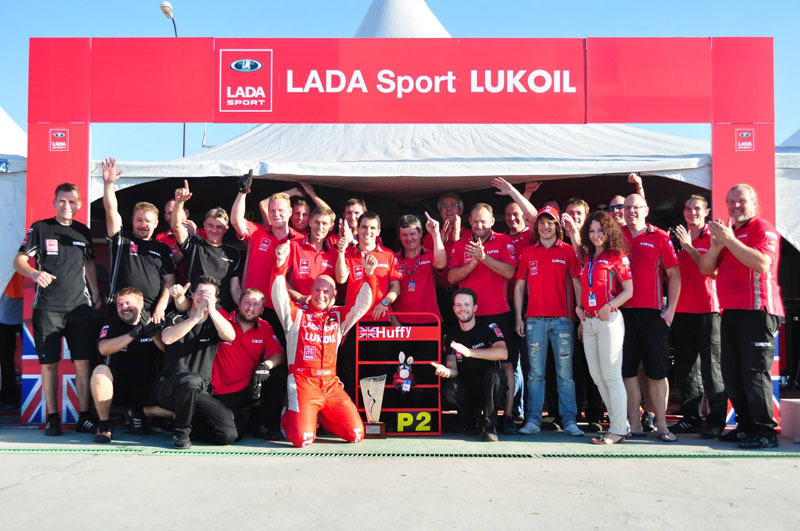 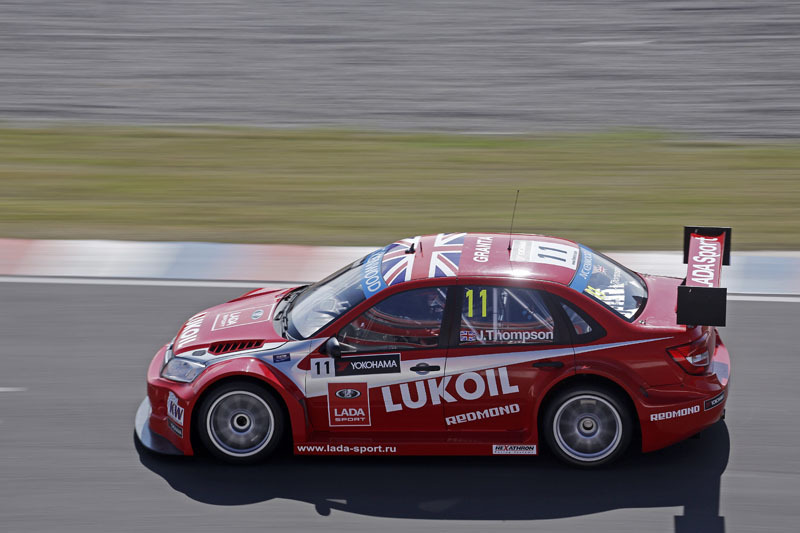 The philosophy witnessed by Hexathron Racing Systems already finds expression since 2009, first year of racing activity, in three competitive programs at the highest level of the international motorsport: FIA WTCC (with LADA Sport and James Thompson, Jaap Van Lagen, Kirill Ladygin and Viktor Shapovalov as drivers, all on LADA Priora), DTC (with Hartmann Racing and its Honda Accord Euro-R) and in STCC with Team MA.GP (Alfa Romeo 156 GTA). 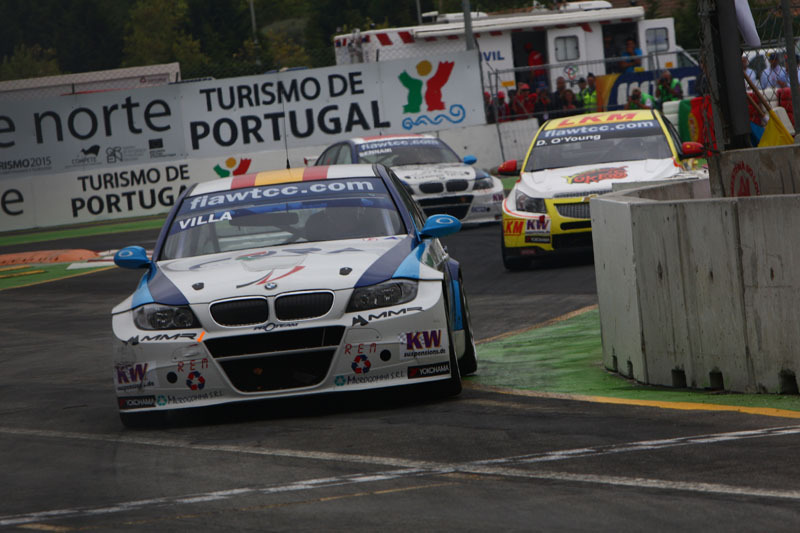 In the years 2010-2011 Hexathron Racing Systems and Marco Calovolo back in the FIA World Touring Car Championship as technical partners of Proteam Motorsport, italian team with BMW 320 racing cars driven by Stefano d’Aste, Mehdi Bennani, Javier Villa and Sergio Hernandez, this one as Yokohama Driver’s Trophy champion in 2010. 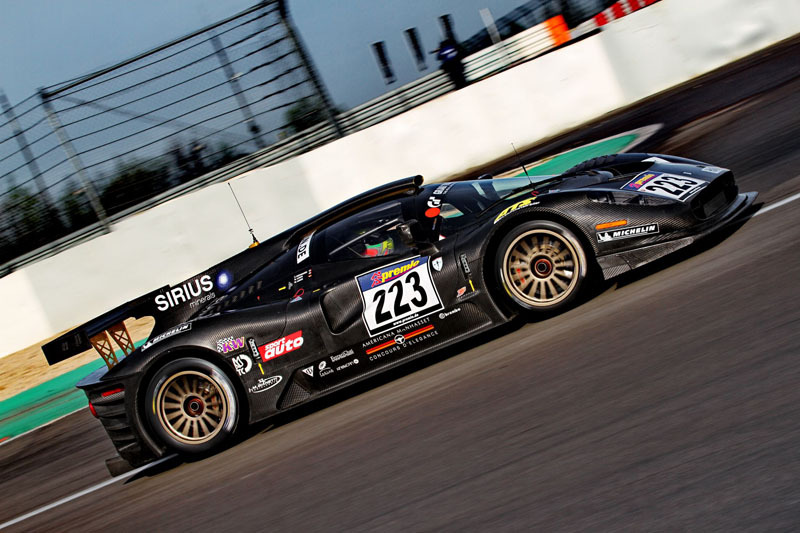 Also in 2011, Hexathron Racing Systems becomes part of the P4/5 Competizione project taking part to the prestigious 24 Hours of Nurburgring with Fabrizio Giovanardi, Luca Cappellari, Nicola Larini and Mika Salo; other collaborations came from GT world with in GT4 European Series (Lotus Evora – Scuderia Giudici), International GT Open (Mercedes SLS AMG GT3 – Team Sports & You) and International Superstars Series with Campos Racing and RGA, both with BMW M3 E92 racing cars. 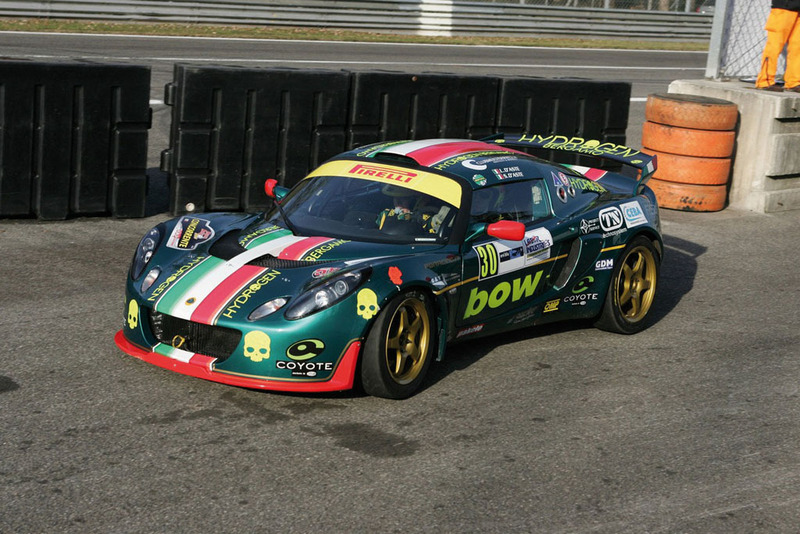 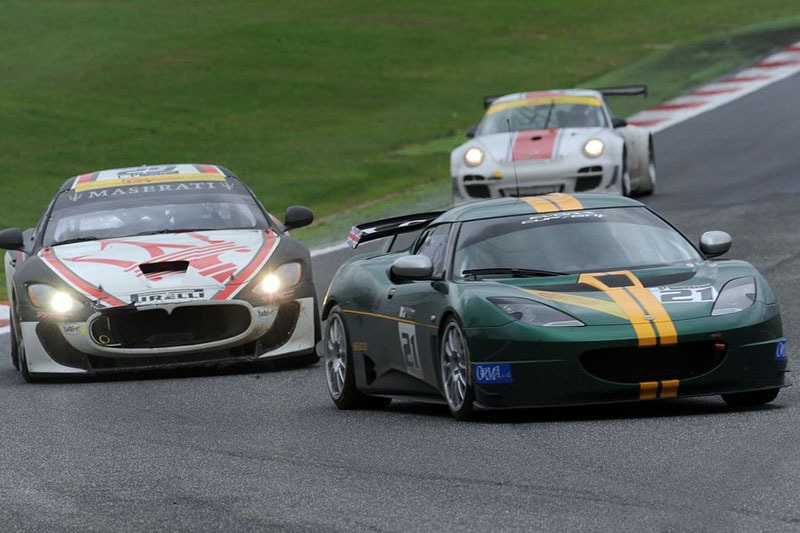 achieved with the Lotus Exige 260 Cup driven by Stefano d’Aste, a car developed by Hexathron Racing Systems. 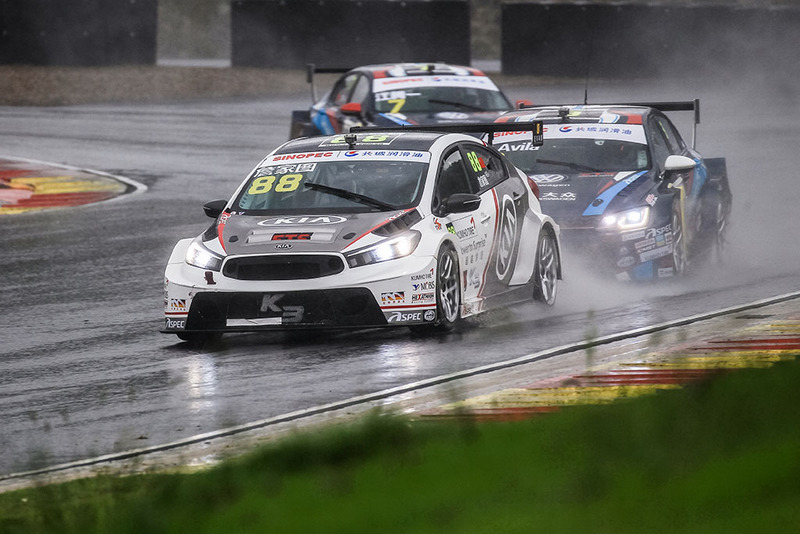 The year later sees Hexathron Racing Systems to work on two fronts at the same series, the World Touring Car Championship. 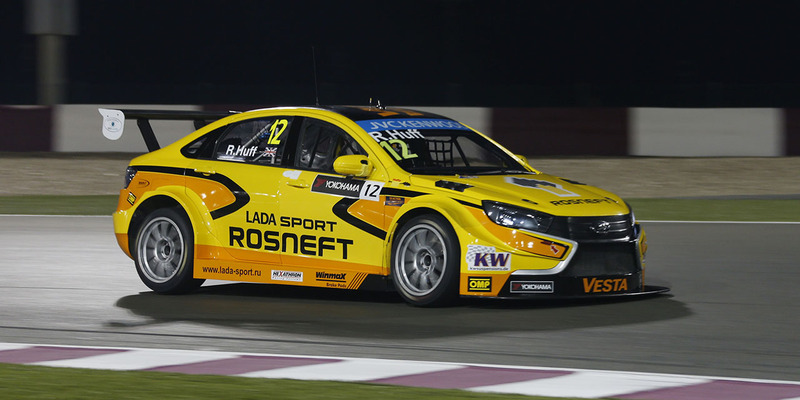 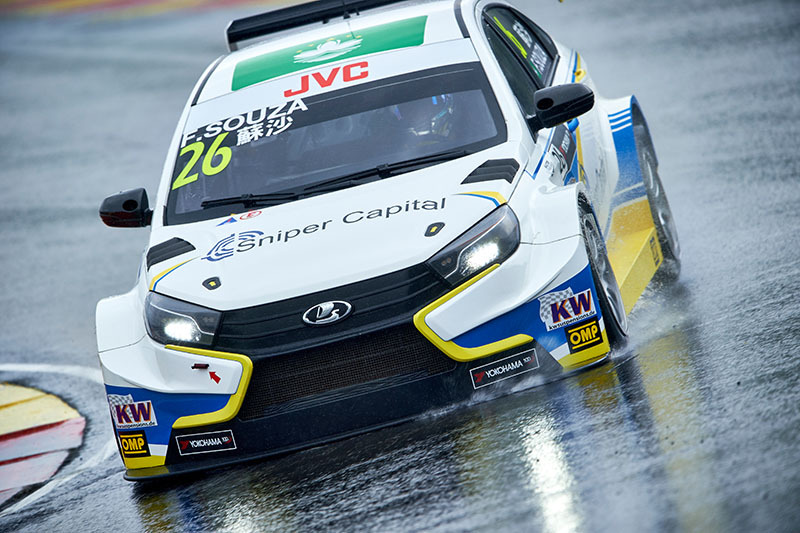 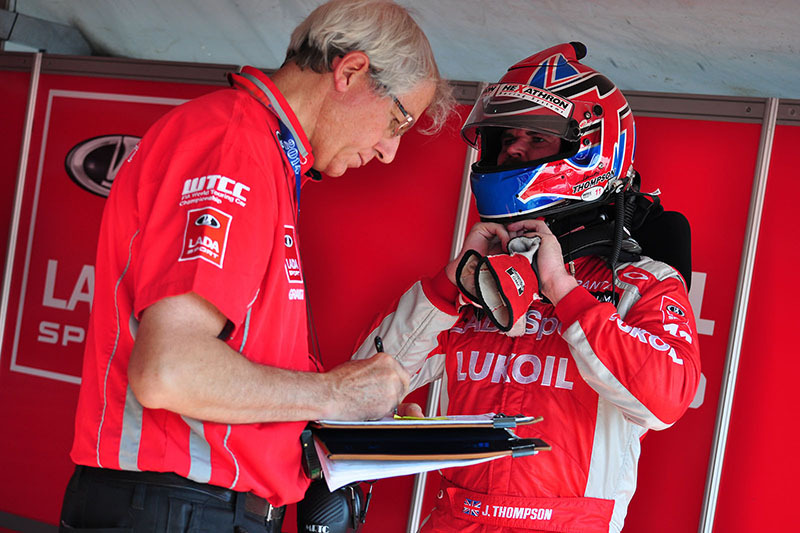 Marco Calovolo is Race Engineer of James Thompson in the LADA Sport Lukoil team while Jacopo Fedele plays the same role in PB Racing (Stefano d’Aste – BMW 320 TC); d’Aste achieves several podiums in Yokohama Driver’s Trophy and 5th place in the final standings. 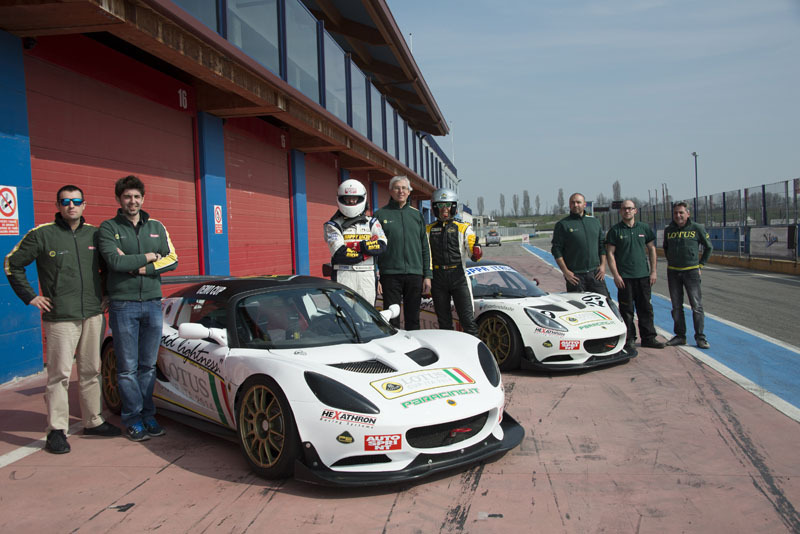 In the meantime PB Racing and Hexathron Racing Systems starts the Lotus Elise Cup PB-R project and development in order to have a deep renew in Lotus Cup Italia 2014 season, together with Lotus Cars; during the winter season, d’Aste wins two other rally races, ever with the Lotus Exige 260 Cup. 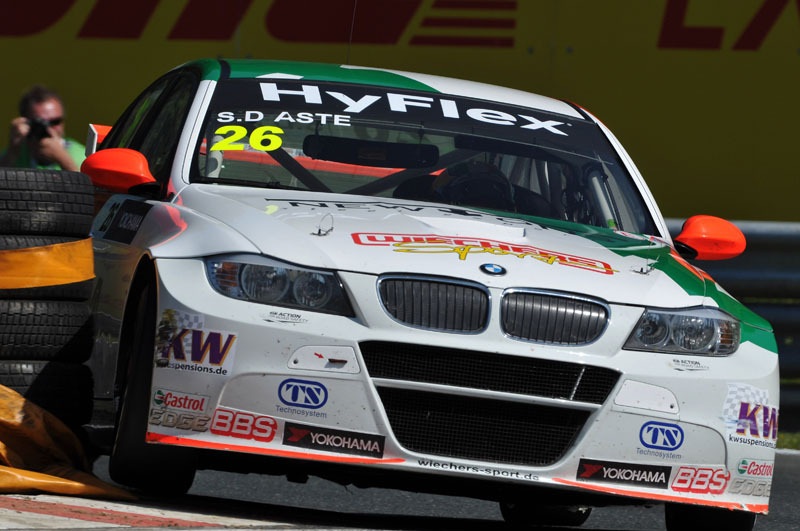 The year after, the company directed by Marco Calovolo expands its activities and collaborations in order to satisfy the request to support different teams in many racing series: Dinamic Motorsport for SEAT Leon Eurocup, Euro V8 Series and Porsche Carrera Cup Italia while continues the collaboration with LADA Sport in WTCC; also Sports & You (Italian GT Championship, International GT Open), AF Corse (FIA World Endurance Championship, Maserati Trofeo), PB Racing & Lotus Cars (Lotus Cup Italia), KIA Racing (China Touring Car Championship) and D-Max Racing (whom Stefano d’Aste, at the wheel of Citroen DS3 WRC, conquers the 3rd overall place in Monza Rally Show) choses Hexathron Racing Systems as technical partner; in the meantime, it begins a new partnership with ARC-Team Engineering to realizeone of the most advanced racing simulator in the world, available for racing teams and drivers. 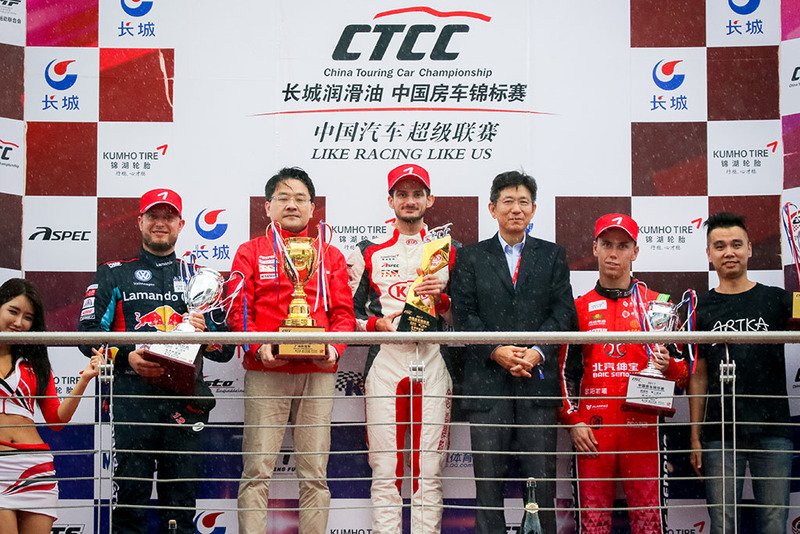 Also the 2015 is a successfull year for the italian engineering company starting from the win of Manufacturers title in the China Touring Car Championship with KIA Racing and its KIA K3s race cars, the Italian Sport Prototypes Championship with Eurointernational (Ligier JS53 Evo 2) in add to the wins in Blancpain Lamborghini Super Trofeo with Mikhail Spiridonov and Team Kinetic, and in the Porsche Carrera Cup Italia with Dinamic Motorsport; in the same year continues the support to the italian team for SEAT Leon Eurocup and SEAT Leon Cup Italia, to LADA Sport Rosneft in FIA WTCC, to Eurointernational in the FIA F3 European Championship, to Eurotech Racing in British Touring Car Championship and with PB Racing for Lotus Cup Italia. 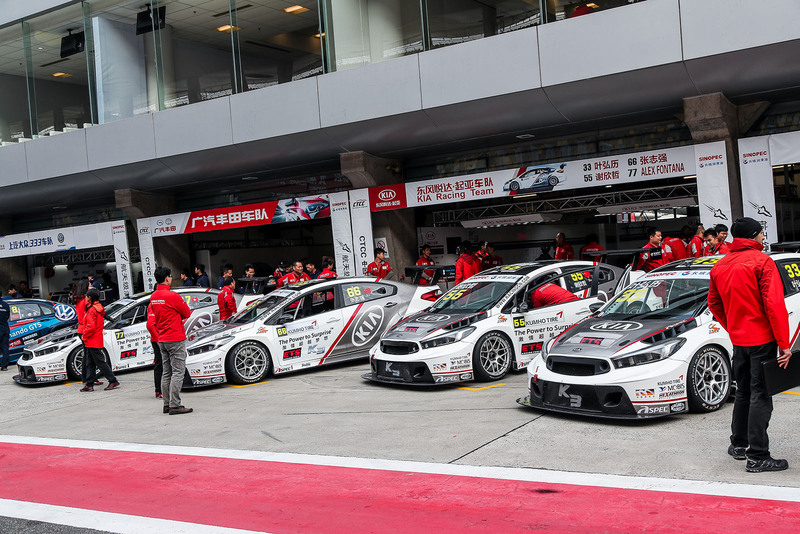 Together Team KIA Racing China and the new KIA K3, in 2016 Hexathron Racing Systems is CTCC champion for the second year in a row. 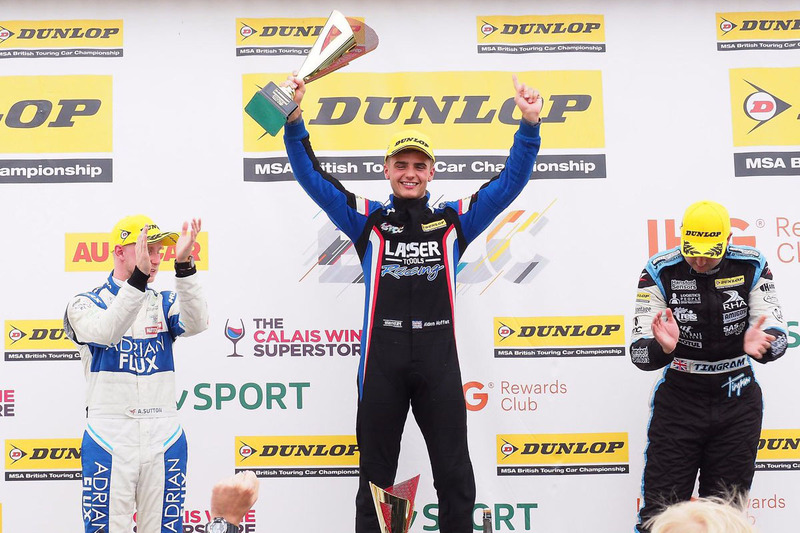 Very positive performance are achieved also in the British Touring Car Championship (BTCC) with Ciceley Motorsport and Laser Tools Racing’s Mercedes A Class driven by Adam Morgan and Aiden Moffat (2 wins). 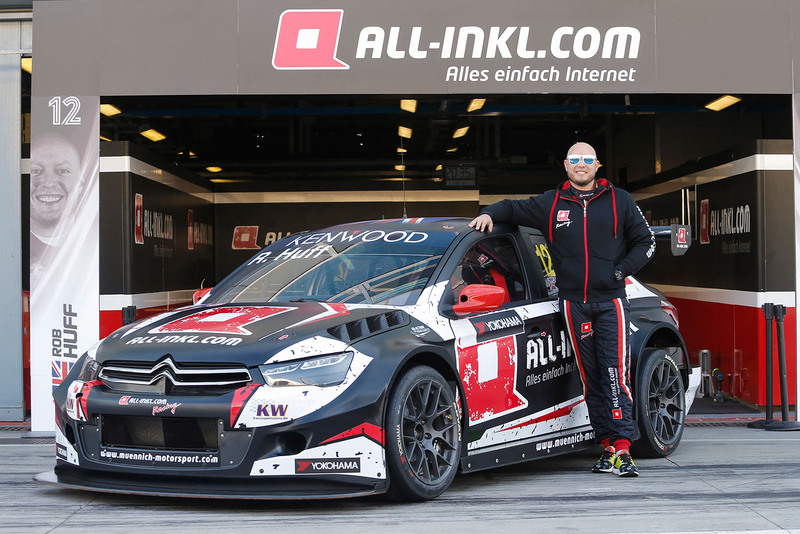 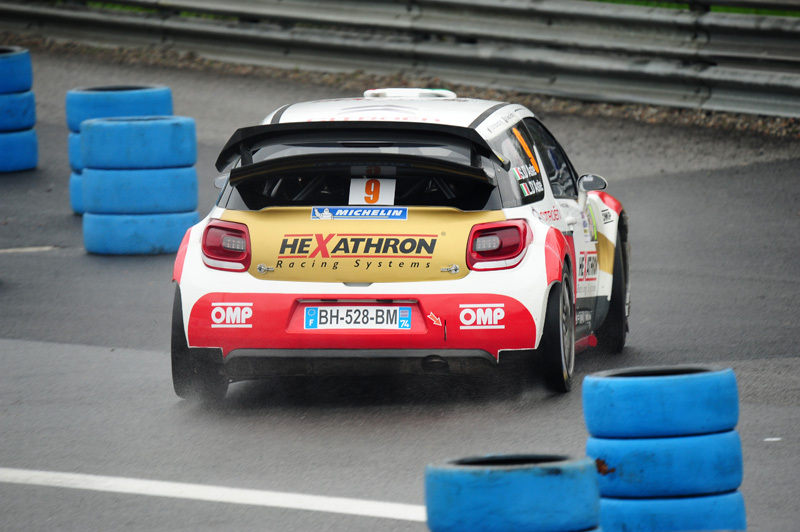 Hexathron Racing Systems collaborates also with ALL-INKL Münnich Motorsport in FIA WTCC and in some events of FIA World Rallycross (WRX). 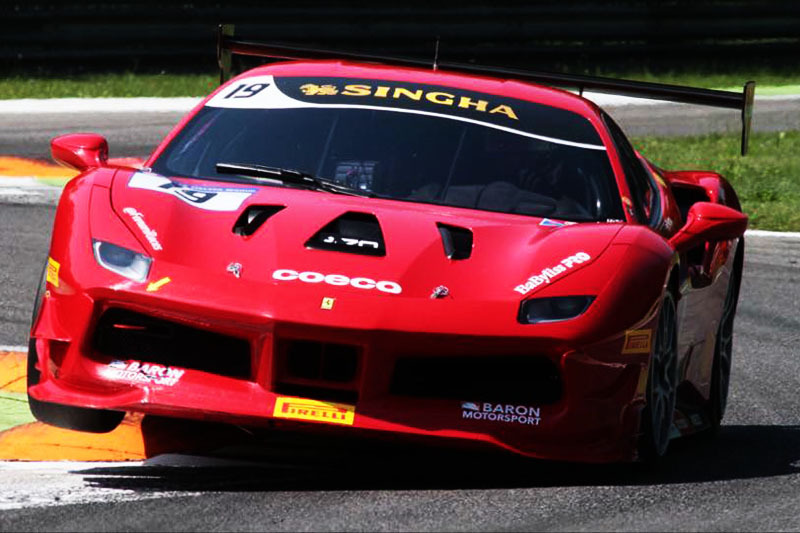 Another title comes from Coppa Italia GT series with ZRS Motorsport (Porsche 997 GT3 Cup) while, in the Ferrari World Finals, we get the 3rd place overall with Rossocorsa and Marcello Puglisi. 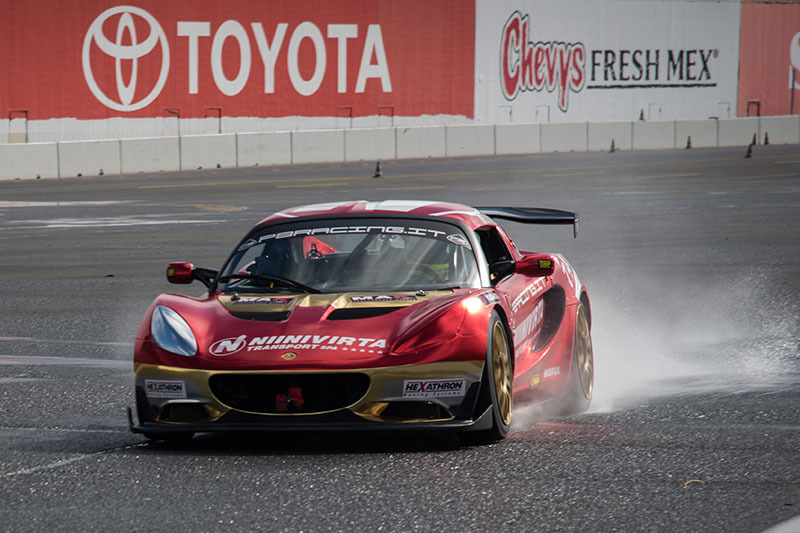 Last but not least, the collaboration between PB Racing and us continues in Lotus Cup Italia but also oversea, with some races in Lotus Cup USA. 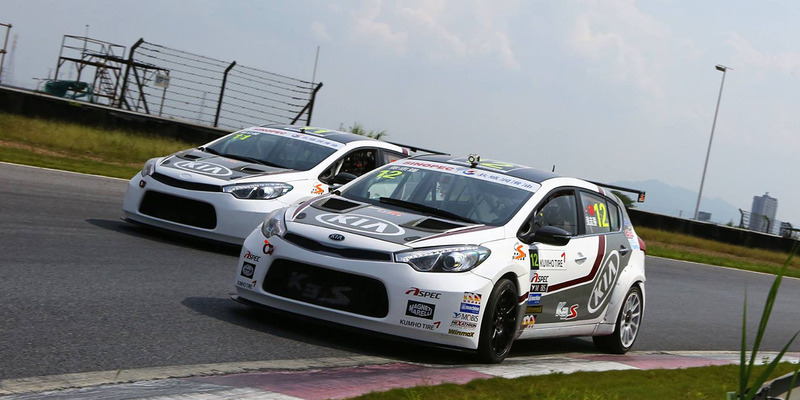 Many confirms come from 2017, where Hexathron Racing Systems is involved in motorsport activities with different manufacturers: KIA K3 2.0 race car makes its official debut in the China Touring Car Championship together Team KIA Racing China (5 wins) while, in UK, satisfactions come from the British Touring Car Championship with Ciceley Motorsport and Laser Tools Racing (2 overall wins and 3 in the Indipendents trophy); double work in FIA WTCC thank to ALL-INKL Münnich Motorsport (where Rob Huff gets 1 overall win and 5 in the Yokohama Trophy) and RC Motorsport (supported in the races of Japan, China and Macau). 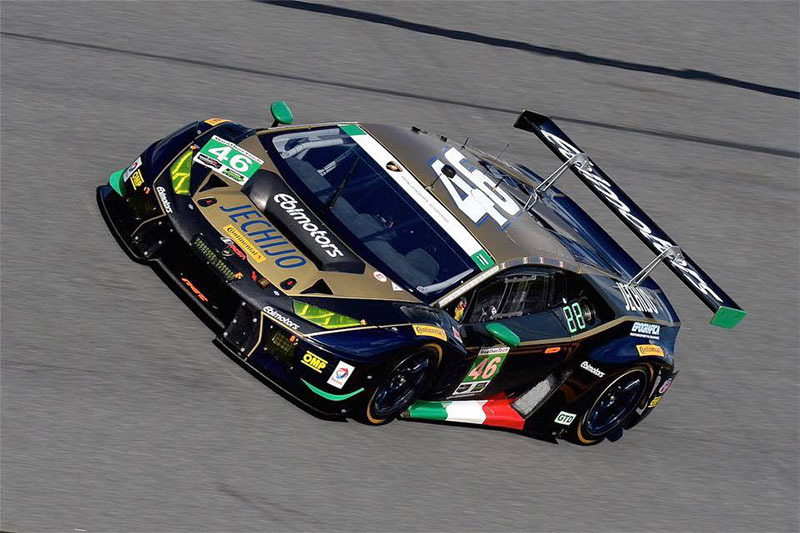 “Stars and stripes” support to Ebimotors-Jechijo (Lamborghini Huracan GT3) in two classic endurance races like Daytona 24 Hours and Sebring 12 Hours; other important result come from Nürburgring 24 Hours race, where the SCG003C (Scuderia Cameron Glickenhaus) claims the pole position supported also by Hexathron Racing Systems. 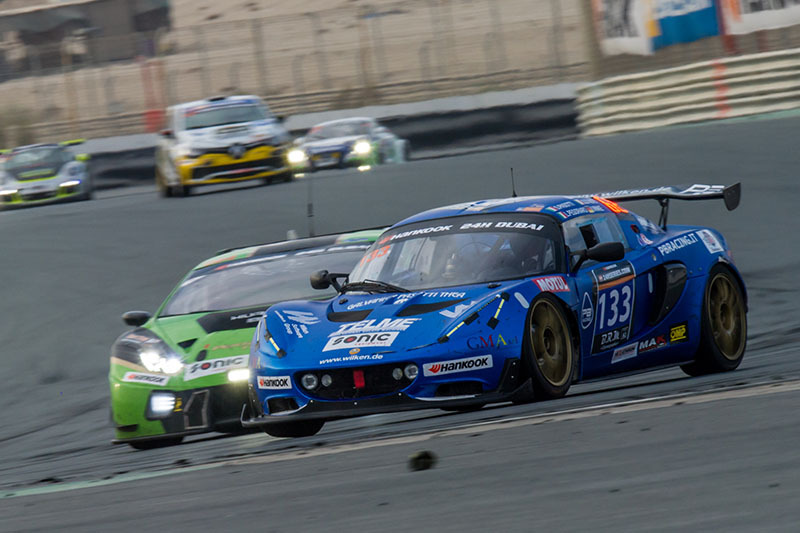 3rd place in A3 class with PB Racing in the Dubai 24 Hours while, in the Ferrari Challenge Europe, our staff work side by side with Baron Motorsport supporting seven Ferrari 488. 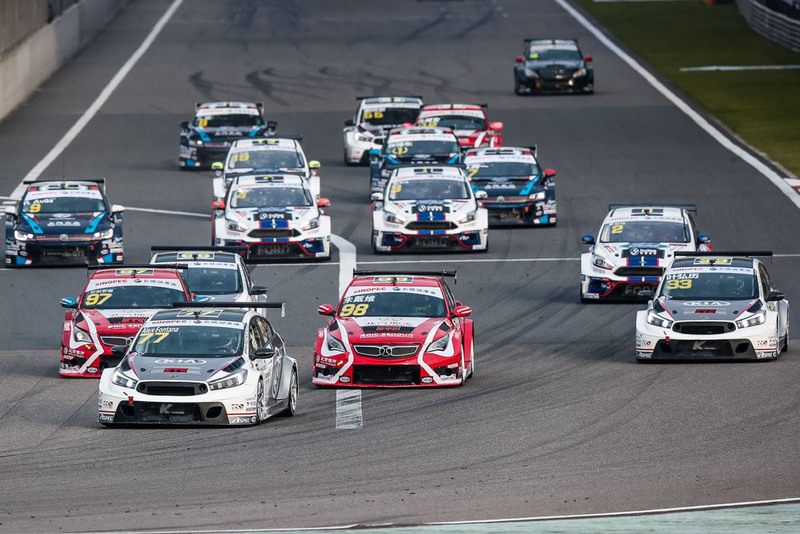 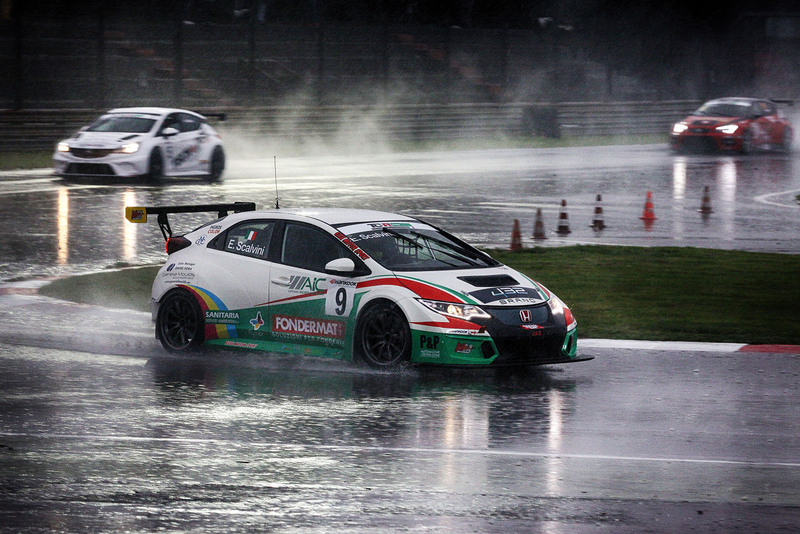 Positive results achieved with MM Motorsport in TCR Italy series (3 wins) and in Coppa Italia with the Honda Civic TCR. 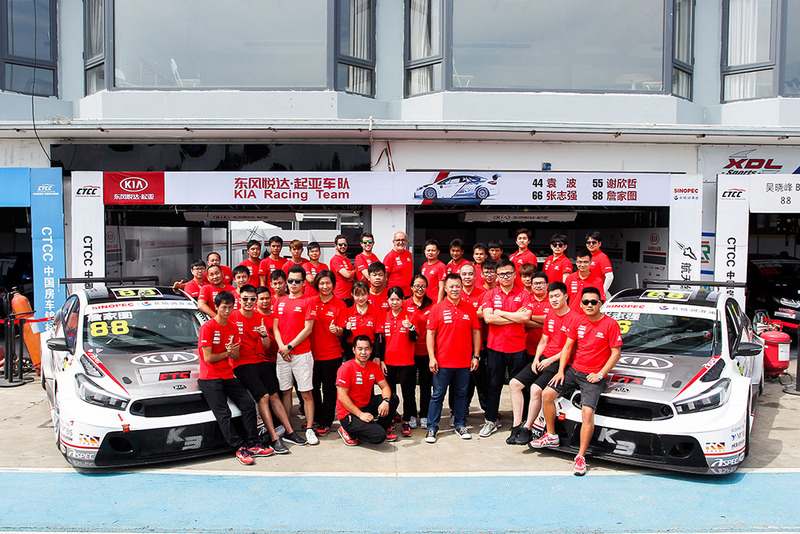 Many programs and successes confirmed for Hexathron Racing Systems in the 2018 sporting season: the most important one came once again from the China Touring Car Championship where the Team KIA Racing China conquers – with the fundamental support of the italian engineering company – both the Constructors’ and Drivers’ titles (with Leo Yi Hongli). 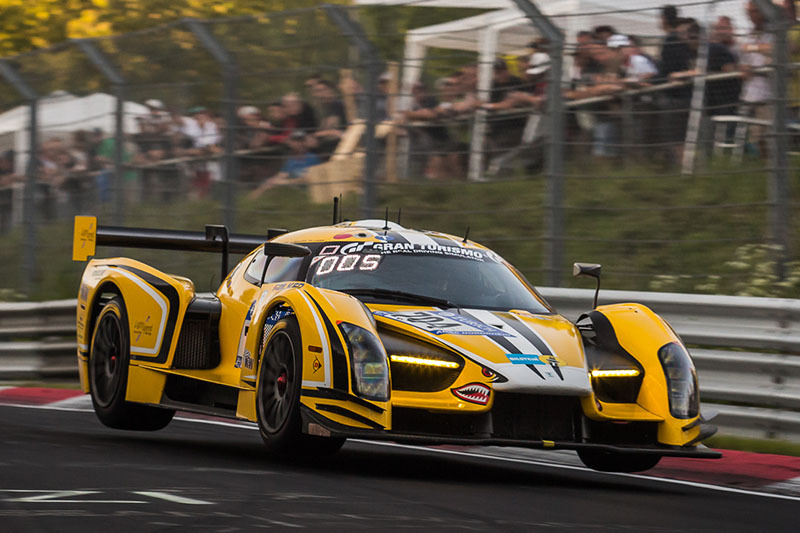 Triple engagement during the year with Ebimotors, in the 24H Series (three wins), in the Le Mans Cup and in the European Le Mans Series (one win in Spa-Francorchamps after the positive result at the Le Mans 24 Hours. 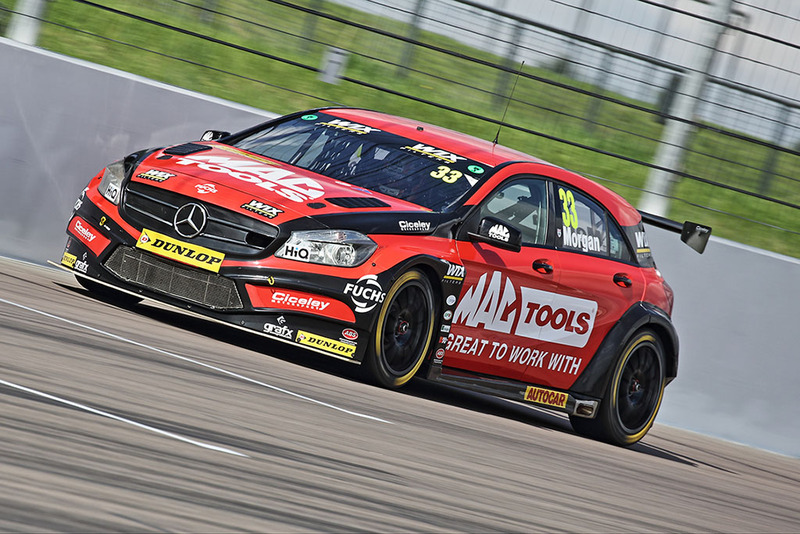 The collaboration continues in the British Touring Car Championship, where the effort is trebled thanks to a third Mercedes-Benz Class A BTCC deployed by Ciceley Motorsport, in addition to the one fielded by MAC Tools Racing and the other from Laser Tools Racing, for a total of 4 overall wins and 7 class wins. 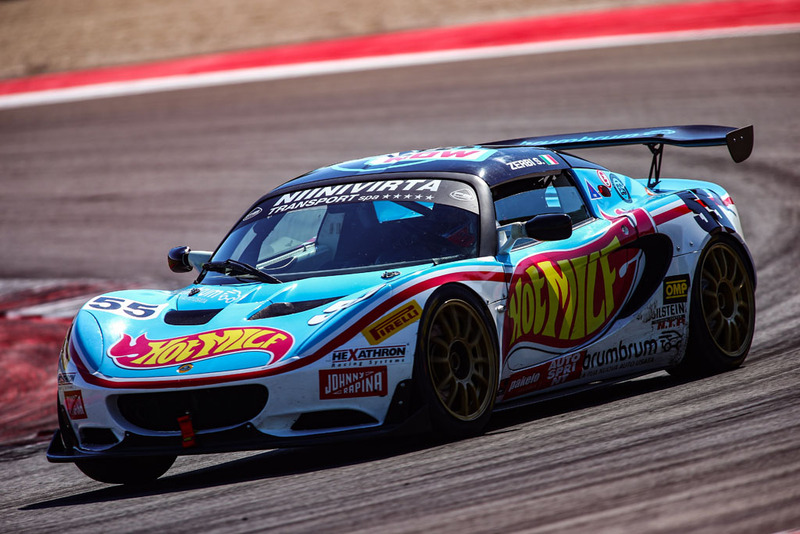 Collaboration confirmed in TCR Italy and for Coppa Italia Turismo with MM Motorsport, as well as with PB Racing in the Lotus Cup Italia, with Baron Motorsport in the Ferrari Challenge; at the end of the season, Hexathron Racing Systems supports once more Stefano d’Aste in the Monza Rally Show.